Need your Broadview Heights floors cleaned? The professional floor cleaners at JayKay Janitorial & Cleaning Services LLC offer expert floor maintenance service to businesses in Broadview Heights, Ohio. We've been in business for more than 11 years. 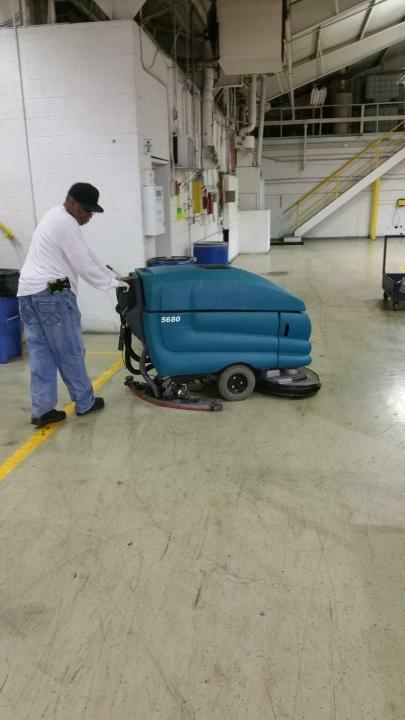 We are Ohio certified to provide thorough, quality Broadview Heights commercial floor cleaning. We specialize in cleaning all types of commercial flooring, including: resilient flooring, hardwood floors, tile, marble, and carpet. No matter what type of flooring you have, JayKay Janitorial & Cleaning Services LLC will bring out its best every time we service your Broadview Heights property. Call (216) 505-1610 for a free estimate. Commercial floor cleaning is our specialty. When you're looking for a professional Broadview Heights floor cleaner for your office building, call JayKay Janitorial & Cleaning Services LLC: (216) 505-1610. JayKay Janitorial & Cleaning Services LLC provides top quality commercial flooring for a wide variety of business clients in Broadview Heights, Ohio. Our cleaning products are earth friendly and non-abrasive. For large floor surfaces, like lobbies or entrance ways, to aisles and hallways, JayKay Janitorial & Cleaning Services LLC provides quality Broadview Heights floor cleaning. JayKay Janitorial & Cleaning Services LLC has been serving Broadview Heights, OH since 2008. Call (216) 505-1610 today for a free commercial floor cleaning estimate.